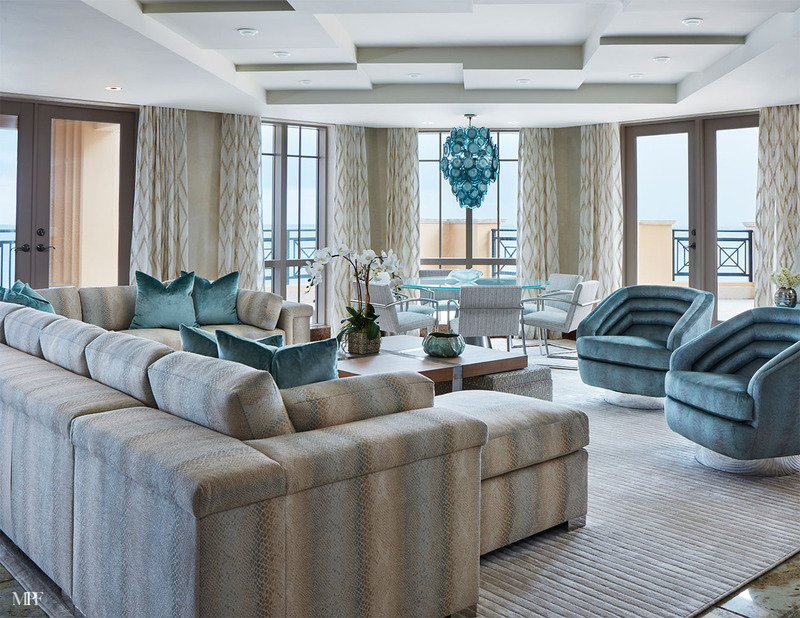 The Excelsior is a luxury high rise in Boca Raton featuring 28 residences. 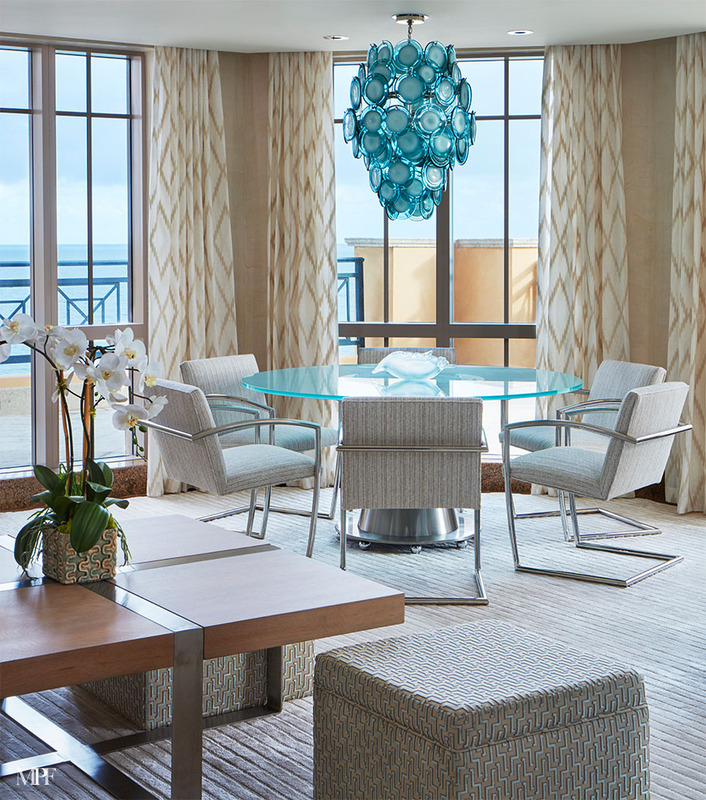 Views of the Atlantic to the east and Lake Boca to the west, the interior had not been touched since 2002 and the spaces needed freshening up. 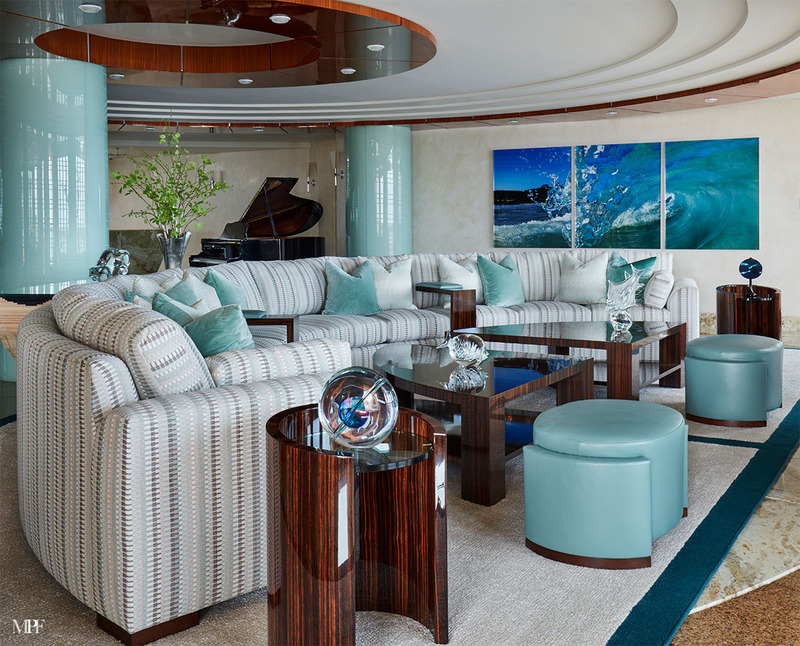 Initially there was rather bulky furniture and solid colors, which looked harsh against the fluid lines of the ceiling and floors. 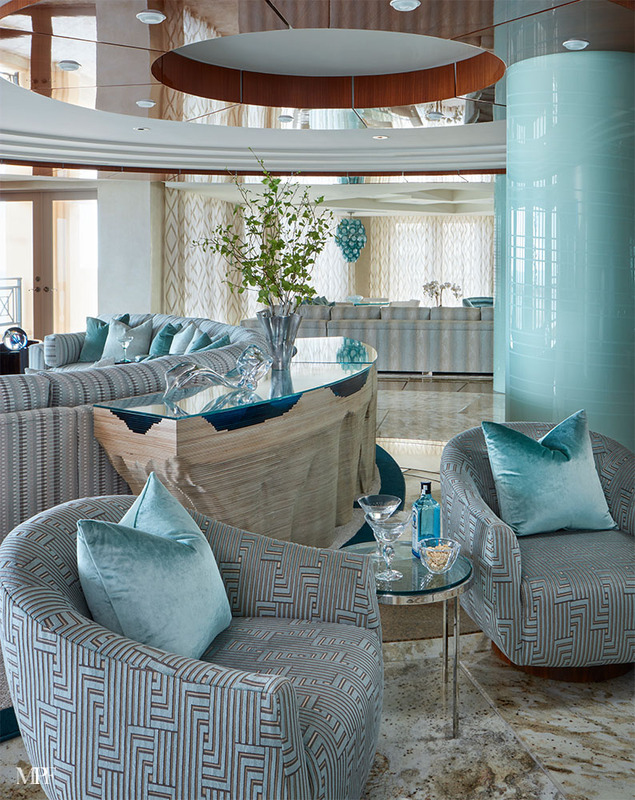 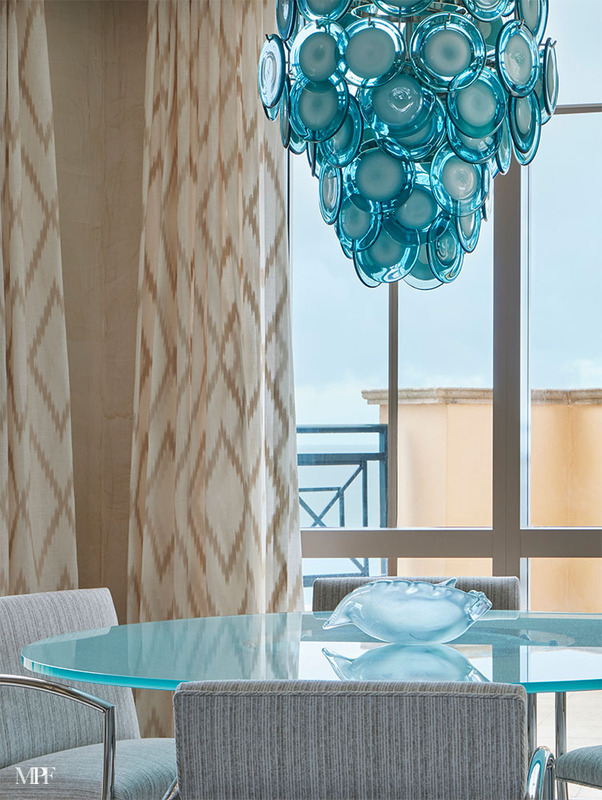 The existing intricate glass wrapped columns became the inspiration for the new color scheme. 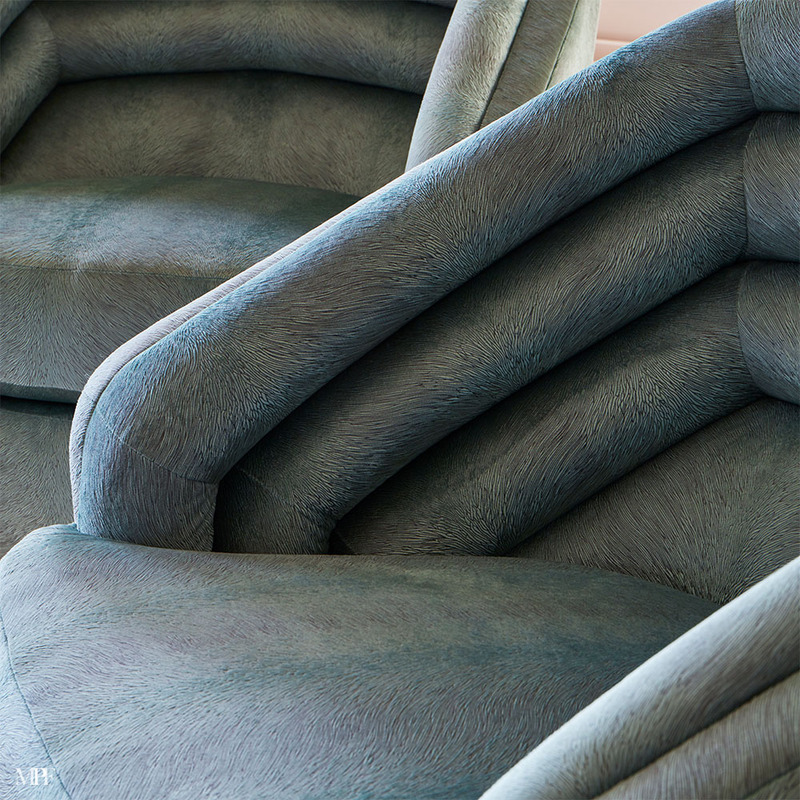 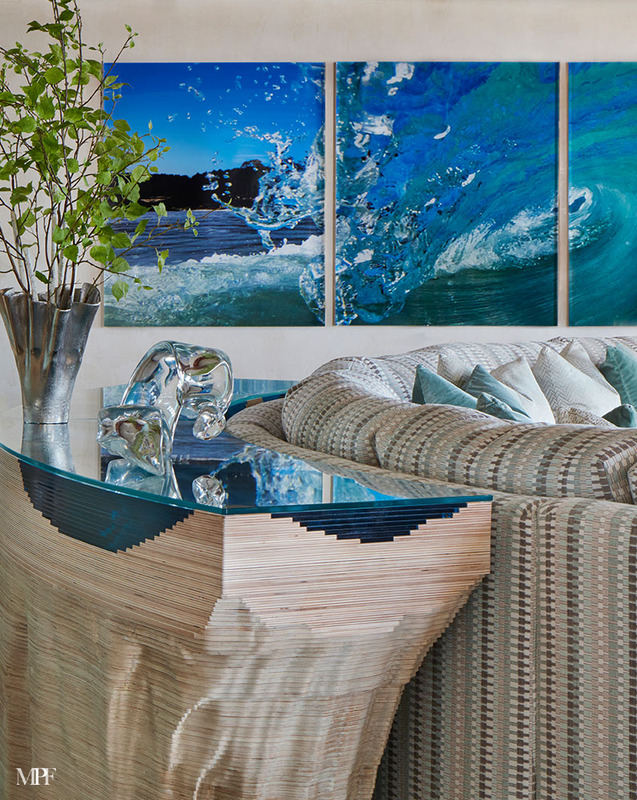 Customizing an oversized, complimentary, curved sofa by Ferrell Mittman for a close-knit family became the center point of the new design layout. 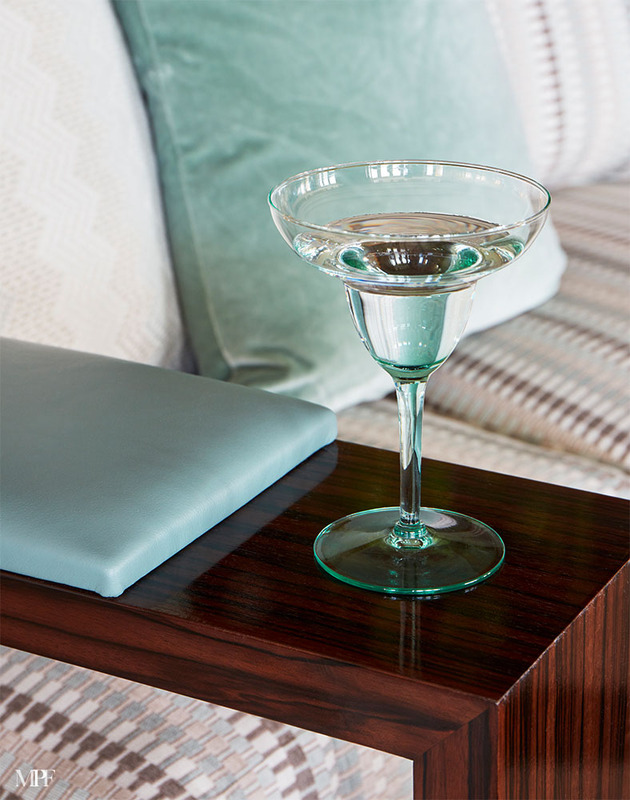 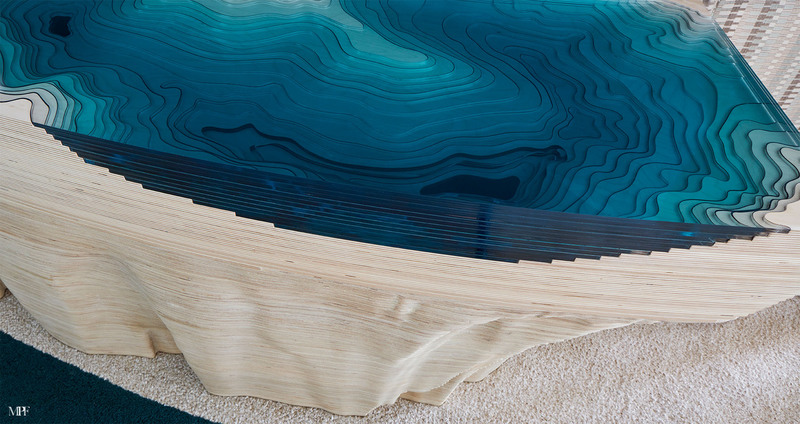 Adding an amazing custom console with carved topographic wood and fused glass layers from Duffy London Design Studio makes a statement as you walk into the room. 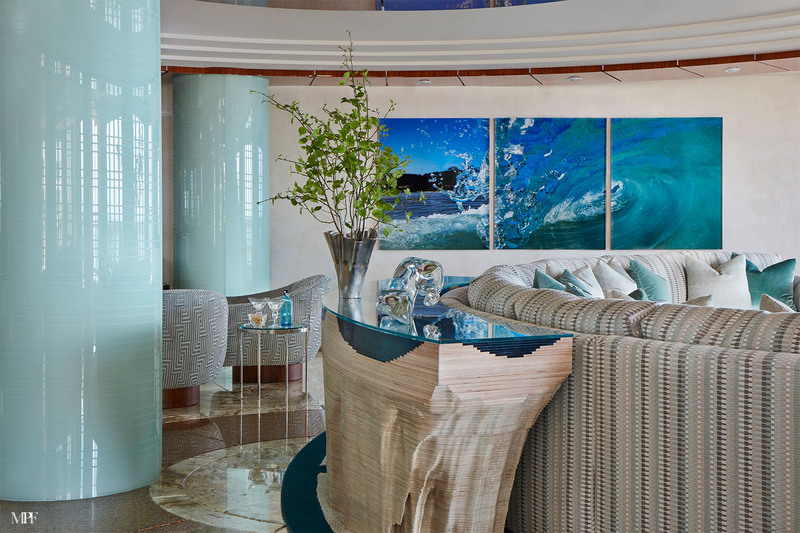 Filling the remaining space with all fully customized pieces develops the cold space into a warm and inviting oceanside resort.